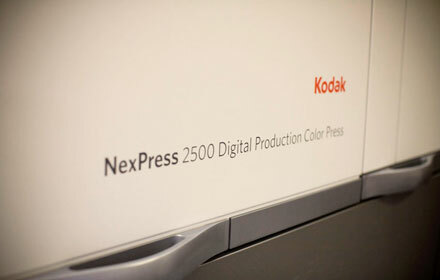 Digital printing with Kodak Nexpress SE2500, the latest in a new generation of digital printing presses, arrives at Lemon Press. This article features a 9 minute digital printing promotional film on the features of the Kodak Nexpress SE series. We will be contacting all of our customers with more detailed information on the Kodak NexPress and how it complements our existing lithographic print offering. The Kodak Nexpress SE digital printing series has many in-built features including Print Genius and Intelligent Calibration System (ICS). It is a sheet fed digital production colour press and will offer Lemon Press greater flexibility and consistency as they can source both kinds of print – digital printing and litho printing – from one company in one location.